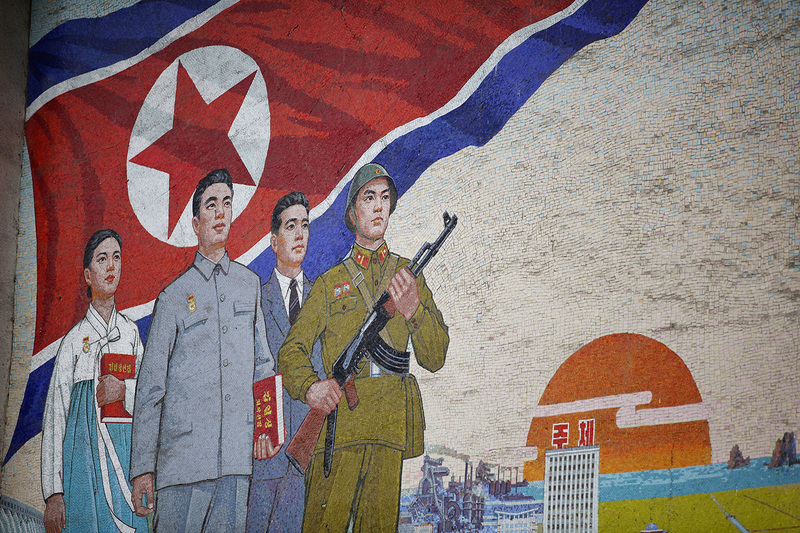 A propaganda mural painted on the outside of the People’s Palace of Culture in Pyongyang, North Korea, April 2, 2011. Lyle Goldstein, an associate professor and strategic researcher at the U.S. Naval War College’s China Maritime Studies Institute, is an expert on Chinese and Russian security strategies. He is also an insightful commentator on what is going on behind the scenes with North Korea. Soon after the North Korean test of an intercontinental ballistic missile (ICBM) on July 4, Kaiser and Jeremy sat down with him in New York City to discuss what strategic options remain for China and other players in the region. Regular listeners of Sinica will remember Goldstein from his previous appearance on the show last year, when he applied his unconventional thinking to territory disputes in the South China Sea. Three recommendations: The music of jazz ensemble Snarky Puppy— check out their fantastic YouTube channel. The music of Andy Timmons, a kind of hair metal guitarist. And The Aristocrats, a rock trio led by one of the best living guitarists, Guthrie Govan.